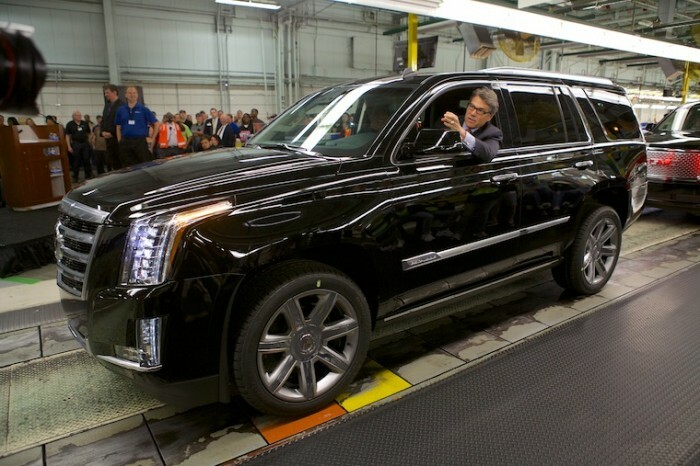 Rick Perry visited the Arlington Assembly Plant to, uh, do work. Hard work, as you can see. Rick Perry, Texas’ current state governor and former presidential hopeful, recently headed over to General Motors’ Arlington Assembly Plant to join up with plant manager, Paul Graham, to celebrate GM’s commitment to Texas over the last 60 years. Specifically, the two men toasted to the full-size SUVs from the Chevrolet, GMC, and Cadillac lineups being built at the factory. Rick Perry thanks workers for GM’s Commitment to Texas. Although General Motors has been in Texas for 50 years, the facility is in constant need of investments. GM’s most recent investment was over $500 million at the Arlington plant to prepare for the manufacturing of the full-size SUVs that claim 75 percent of the market in their segment. To mark the launch of these vehicles and to reward GM’s commitment to Texas, Governor Perry provided several GM Foundation grants that totaled $56,000 to five local nonprofits: United Way of Tarrant County ($25,000), the Arlington ISD – Teacher Grants ($10,000), the Community Food Bacnk of Fort Worth ($7,000), the Junior Achievement of the Chisolm Trail ($7,000), and, finally, Parents Step Ahead ($7,000). The grants were given out as part of the annual Plant City Grants program. 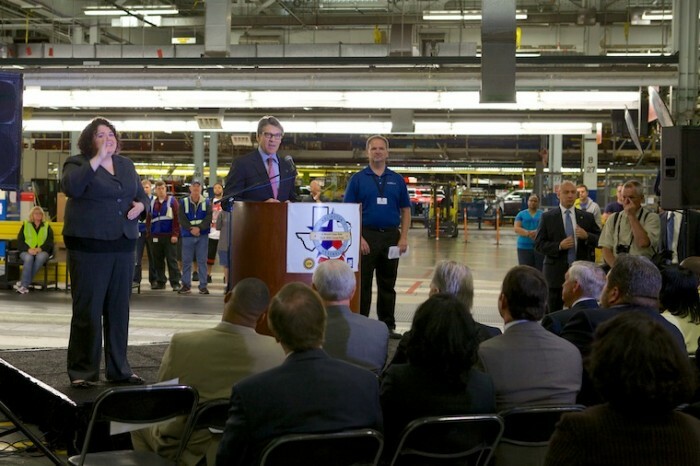 Governor Perry also took the time to honor four GM employees who have been with the facility for 50 years or more.